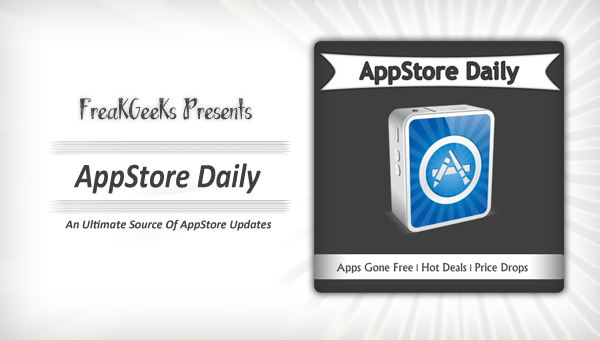 It’s been a month now that we have covering the AppStore Daily weekly posts, and trying to bring the hottest and weirdest hits of iOS App Store for you. We are at FreaKGeeKs believes that you guys are definitely enjoying our weekly issues, and will help us in growing these roots on our profile. We are today once again here with another post of AppStore Daily, and definitely this time we want to ask you, how is it going? Do you like the coverage? If you are following us, and keeps an eye on these issues, we desperately wants a feedback from you guys! You can help us in improving the AppStore Daily by providing your feedback to us on Facebook Page, Comments, or on Twitter.